Preschoolers, math, and candy go hand in hand. In fact there’s no better way to teach a child math than through the stomach! And these candy math books are perfect to introduce preschoolers to math. 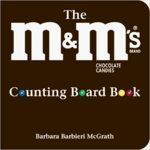 The M&M’s Counting Board Book | The M&M’s Counting Board Book is the perfect start for your young preschoolers. 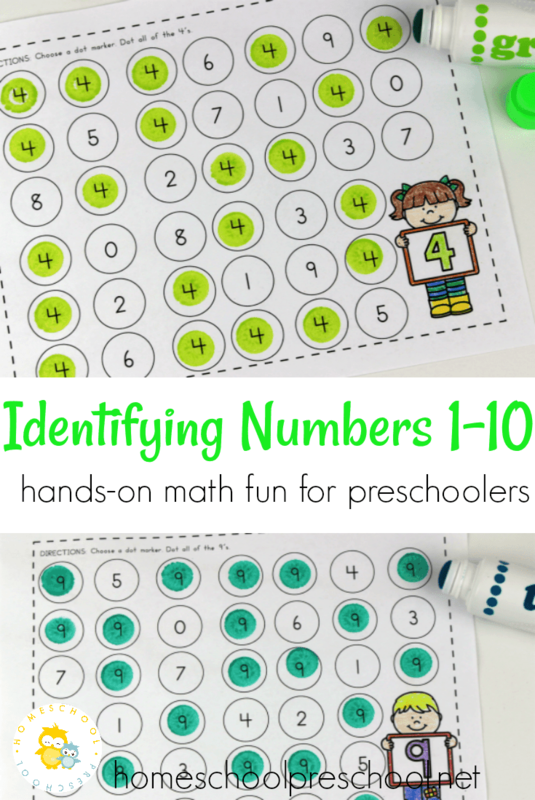 Kids learn to count from 1 to 10 with bright colored M&M’s. The M&M’s Counting Book | The M&M’s Counting Book is meant for slightly older preschoolers than the M&M’s Counting Board Book. A delightfully delicious book, it teaches the numbers from 1-12, 6 colors, and 3 primary shapes. My kids truly adored counting when I remembered to pick up M&M’s for us to follow along! The M&M’s Count to One Hundred Book | Finish off teaching your preschoolers to count with the M&M’s Count to One Hundred Book. The trick to using this book is to make certain you actually have enough M&M’s to count to 100! Candy Counting | Start your kids adding and subtracting with this delicious counting book. Your kids will be able to see the addition and subtraction problems within the book. If you want a more tangible approach, bring home some candy to use. Hershey’s Kisses Addition Book | What could be better than mixing clowns, Hershey’s Kisses, and addition? And that’s just what this book does. 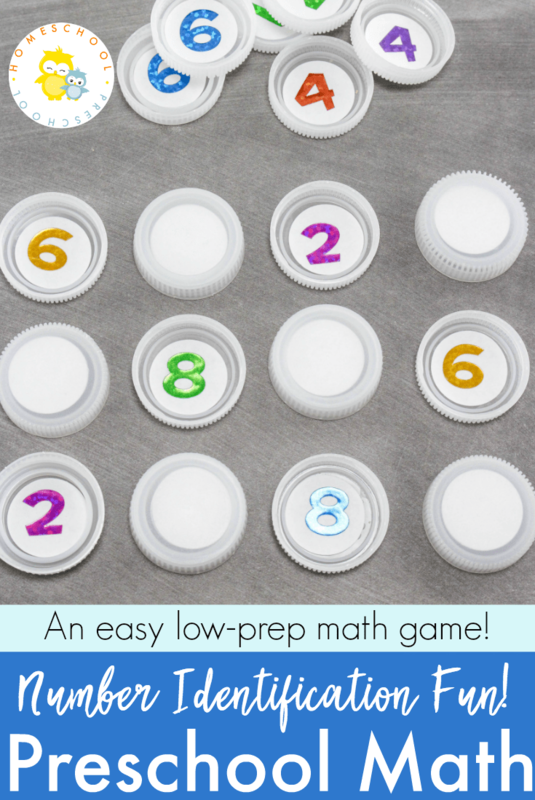 It engages your preschoolers and makes math fun! Hershey’s Kisses Subtraction Book | I must admit, it’s fun for my preschoolers and me to study math using Hershey’s Kisses. Kids quickly pick up the concept of subtraction when you let them eat a few Kisses as you read through the book. Twizzlers Shapes and Patterns | Teach your children about shapes and patterns! An architect visits a classroom and introduces the students to the different shapes. 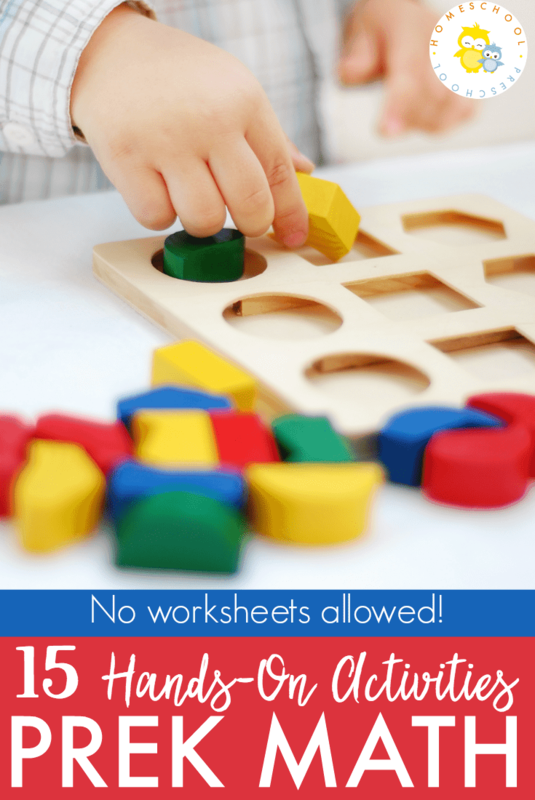 Have your preschoolers making their own shapes and patterns as you read the book. Hershey’s Milk Chocolate Weights and Measures | Don’t forget to teach your preschoolers about weights and measures. And what method could be more delicious and easy to understand than learning with milk chocolate and clowns. Your kids will be introduced to the ton, the foot, the metric system, and more! Reese’s Pieces Count by Tens | Skip counting is the perfect introduction to multiplication, and counting by tens is the best place to begin. So pick up a bag of Reese’s Pieces and start counting by tens with your preschoolers! 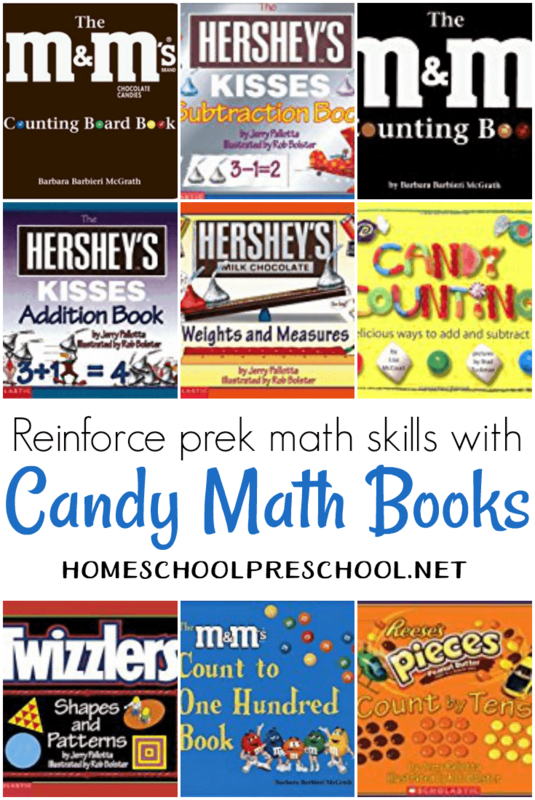 Candy math books make math fun for both preschoolers and parents. After all there’s nothing more awesome than eating your math lesson as you learn! Have you introduced your preschoolers to candy math?